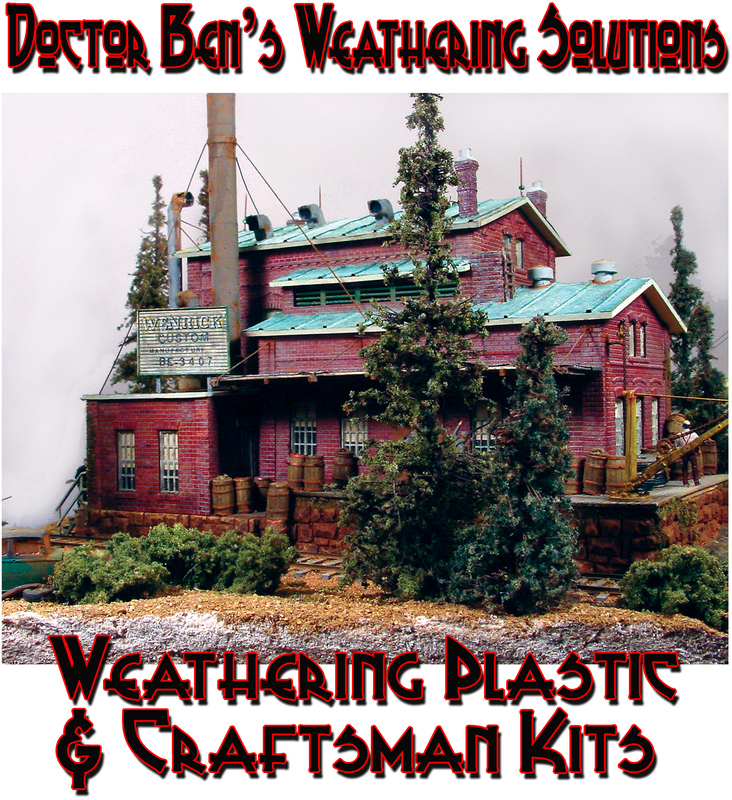 Doctor Ben's Weathering Solutions--In my quest for the ultimate weathering process I remember finding a four-step, four bottle product back in the 1980s that stated it came from the guy's driveway and I tried this for a while. I then I tried the 'Steel wool & vinegar rust' process. This I really liked, but the thought of the rusting processing continuing even after the application scared me. I tried flushing with water, but this washed the finer particles away, and I still was not sure that the rusting process had been stopped. I even tried sealing the finish with a dull coat—too labor intensive. And then one day I literally fell over an idea as I was helping my brother install some custom cabinets on a commercial job site. The long story short is that although my formula has changed over the years, AND, a lot of folks have tried real hard to copy my Doctor Ben's products, but they still haven't come close. I do say that this product might not be for everyone; but the fact that we have sold tens-of-thousands of jars of Weathering Solutions leads me to think that folks like using our Doctor Ben's products--a lot! All Doctor Ben's Weathering Solutions are available in 8 ounce (only a couple) and 4 ounce (volume) wide-mouth recyclable jars individually and in money-saving 4-jar & 8-jar sets. 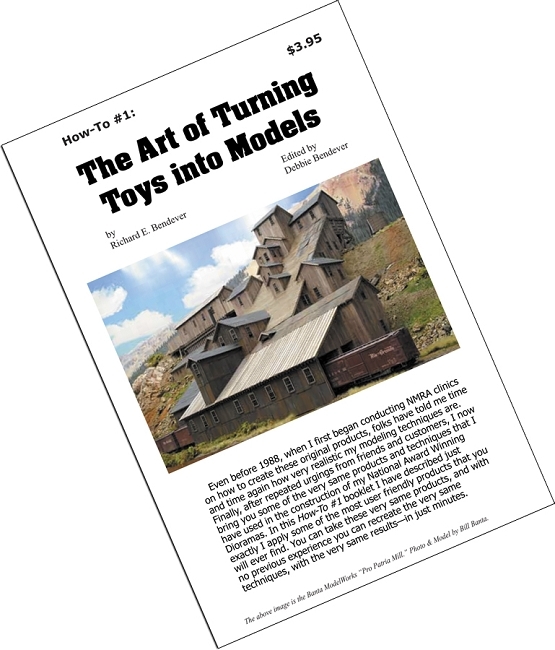 All Weathering Solutions sets include the 8-page color Doctor Ben's How-To #1 Turning Toys into Models Booklet. Each has a description instructing its use and maybe modeling techniques used to get the most out of this item. As always, if you have questions, please ask!